Welcome to my fan girl / Stalia shipper world! Enjoy! Hello guys and welcome to another post! It's Saturday which means it's time for Stalia post. Today I'm writing a little bit different post. I'm going to share with you a playlist with Stalia songs from Teen Wolf. Check it out right here ---> CLICK ! Teen Wolf episode 3x20 when they share a moment. Check it out right here --> CLICK . 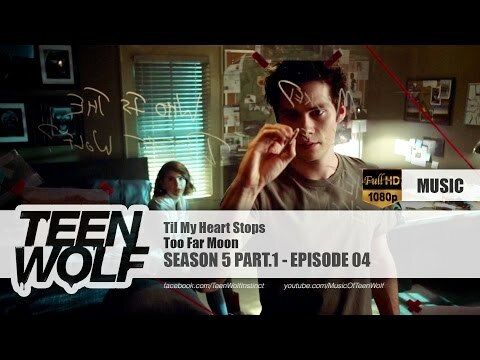 Teen Wolf episode 4x10 . Teen Wolf episode 5x04 . Teen Wolf episode 4x11 . Teen Wolf episode 3x20 . That was all for today! Hope you enjoyed! If you did be sure to let me know in the comments down below and follow me on GFC and G+, please. Absolutely amazing post dear!) Thanks for sharing) Have a great weekend! I like the playlist. This is something new and interesting. Would you like to support each other by follow on GFC? Please Let me know if you follow me and I’ll follow back! Hola guapa..te acabo de conocer¿quieres que nos sigamos por gfc? me encantaría. Hi Vildana, Thank you for following me and I am now your newest follower. Have a lovely week! Do you know when Derek comes back ? Uzvraćamo u najkraćem mogućem roku. This blog is about M.Stiles Stilinski and Malia Tate (characters from Teen Wolf). Besides posts about these two characters (a.k.a.Stalia) I'll be posting everything Teen Wolf related. I hope you'll enjoy reading my blog as much as I enjoy writting it!